A proposed campground in Cambria was denied at the SLO County Board of Supervisors meeting on April 9 because the property in question doesn't have a secondary access road for public safety. A SECOND WAY OUT Cambria won't be getting a campground anytime soon as the SLO County Board of Supervisors denied a proposed development on April 9. BKS Cambria LLC appealed the county Planning Commission's Dec. 13, 2018, denial of the project to the board. According to a staff report, the Planning Commission denied the project because Cal Fire and state fire code require secondary access to ensure the health, safety, and welfare of the campers and employees at the site. 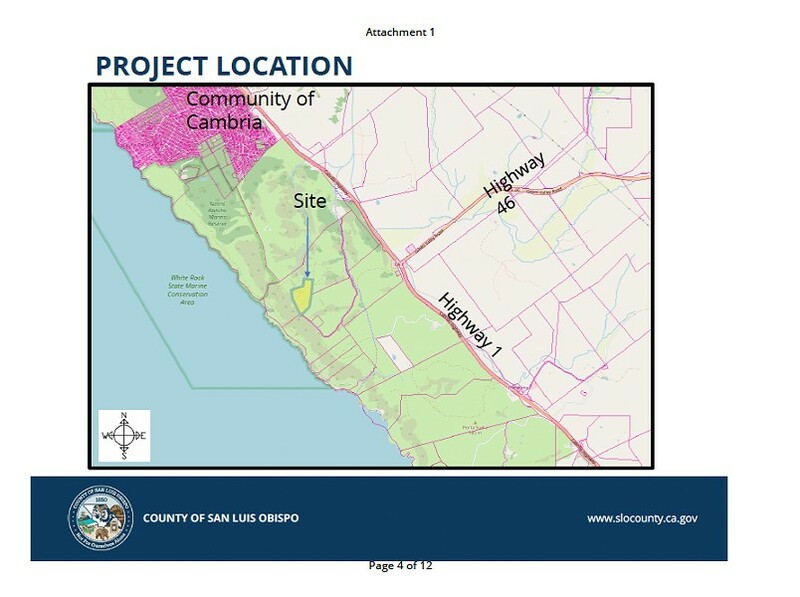 Max Schaefers, a BKS Cambria representative, told county supervisors that the owners spent three years developing this project, complying with the surveys and studies that the planning department had requested, and have tried to meet all the demands and requirements of the county. The only requirement they can't comply with, he said, is creating a secondary access road. "Safety of our guests is our primary concern. This is why we added a helicopter pad for rescue," Schaefers said. He said that similar to other recreational activities such as skydiving, there's some risk associated with camping that adult individuals are aware of. "I want to point out again that we believe it should be the individual's choice that we will notify them and give them disclaimers ... and we'll ask them if they're OK with the property and these dangers and if they still want to camp on our site. And if they sign a waiver, why shouldn't they?" Schaefers said. During public comment, Cambria Community Services District (CCSD) board member Amanda Rice said that BKS Cambria approached the CCSD board for a letter in support of the project. But the board decided not to take a position on the project at its Oct. 25, 2018, meeting.